You can be sure that summer is over when stories about butterflies begin to make the news. This year's Big Butterfly Count in the UK recently reported that numbers of several species have decreased from a high point reached last year, although a few did well. Meanwhile, scientists at the Natural History Museum in London have recreated the irridescent beauty of butterfly wings in the lab, a development that could lead to the invention of paint that can never fade. And over in America, the monarch butterfly is beginning its famous epic annual migration from North America to Mexico. All this activity led us on an online search to see what island butterfly stories we could spot. It did not take long before we found a blog by Nick Morgan, an intrepid butterfly photographer who has visited countless islands around the globe in search of his resplendent quarry. TIR: When did you first become interested in butterflies? NM: I have always had a great interest in the natural environment. My father was a biologist and I spent many a day on nature reserves and in the countryside watching wildlife with him. I worked as a countryside ranger for East Lothian Council, and while I was at John Muir Country Park I started recording the butterflies I saw each day. It wasn't until about 2006 that I started photographing them. I use a compact camera or more recently a bridge camera to record a moment in time. I am not a serious photographer and certainly wouldn't want to have to carry a tripod and selection of lenses with me. TIR: What keeps you interested? NM: I am really interested in the distribution of butterflies. I find it fascinating to speculate on how some species have arrived in remote islands and love to compare the species that occur on neighbouring islands. At home here in East Lothian I co-ordinate the butterfly records of the ranger service and volunteers, and we have had an amazing increase in the number of species that occur here in recent years. It is interesting to speculate why in the last ten years eight new species have moved into East Lothian. Is it climate change? It certainly isn't because their habitat is improving. For instance, six years ago we had no Speckled Woods in East Lothian. Over the last five years I have been mapping their gradual expansion right across the county. There is also the thrill of seeing the first butterflies each spring – something that I eagerly anticipate. And there's the fascination of the metamorphosis from egg to caterpillar, to chrysalis, to butterfly. TIR: Where have you been on your travels? NM: My father worked in the Camargue when I was young, so I spent all of my school holidays there. That was a great place for wildlife of all sorts. In my twenties I travelled a lot around Europe, the USA and Africa. In those days I was interested in butterflies, but I didn't have a camera suitable for taking pictures of them. When our children were young we used to holiday on the Western Isles of Scotland, only taking them to warmer countries once they were able to appreciate where they were going. Since I have been photographing butterflies we have been to Portugal, Spain, Menorca, Mauritius, St Lucia and the Canary Isles. TIR: How do you choose where to go? NM: And here is the million dollar question. All of our trips are primarily family holidays. There is a lot to consider, such as the need for sun, swimming pool and wifi for the kids. Luckily sunny destinations are good places for butterflies. I have to admit that when my wife suggests a holiday destination I immediately go online to see if it is a good location for butterflies. TIR: Is there a community of like-minded folk doing the same thing as you are? 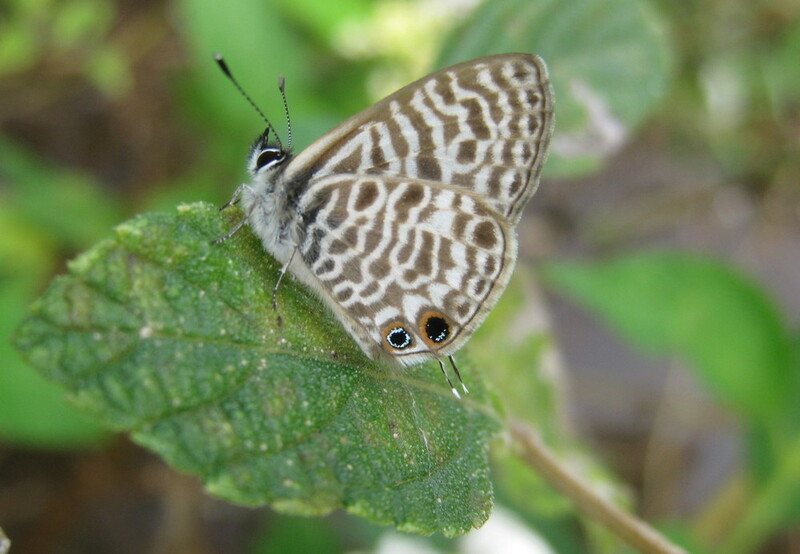 NM: There are various people keeping blogs about wildlife, including butterflies that they see around the world. There are also a number of forums where people discuss which butterflies they have seen. I am lucky keeping the local records as the more records that are kept the better the picture of how butterflies are doing. I particularly enjoy reading posts from people in other parts of the world and seeing what butterflies they are seeing. This keeps me going through the winter when the butterflies stop flying here. TIR: What's the best experience you've had on your travels? NM: Oh, there are so many. I loved Mauritius and St Lucia for seeing completely new species of butterflies. On this year's holiday to Spain I visited the Sierra Nevada, where I saw 33 species in one day. I think that Tenerife provided the best experience. I had a lovely walk in the north east of the island in beautiful scenery, with perfect weather and loads of butterflies. NM: There haven't been any yet. There have been disappointments when chrysalises that I have been nurturing all winter turned out to be parasitized, but that is all part of the learning process. TIR: If there was one butterfly you could see and get a photograph of, what would it be? NM: It would have to be the Birdwing Butterfly that occurs in South East Asia. It is a spectacular black butterfly with metallic green markings that look like feathers. It is no coincidence that there are hundreds of other species of butterflies occurring there, which I might happen to see at the same time. TIR: What are the best islands you've visited and why? NM: I love the Western Isles of Scotland. When you get good weather you can't beat the scenery, with beautiful white beaches and turquoise sea. The smaller islands such as Eigg and Rum are beautiful, but my favourite Scottish island is Islay. I think the midges would drive me mad if I lived there, though. However, I think that St Lucia was the best Island I have visited. It was fantastic seeing the rain forests and exotic plants and having the warmth and beaches. That is where I would most like to go back.